Strengths in your legs determine the overall body strength and your stamina. Strong legs are not only important for optimal health and day to day activities but they are also important part of our personality. Usually, physically fit and strong people have strong legs and attractive personality. So, it is important to maintain strong leg muscles. Exercises that targets quadriceps, calves and hamstrings makes them strengthy. Also, stronger muscles ensures good body metabolic rate. 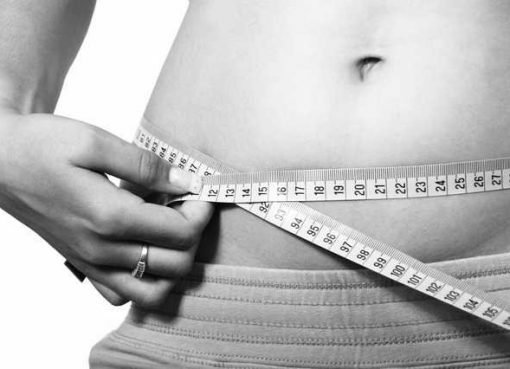 So, they also help in loosing excess body fats and keep you healthy. We have listed some legs exercises below that will help you achieve strong, healthy and toned legs. Split Squat :- This is a real intense workout that will make your legs strong. 1. Take a chair and put it at about a distance 2 feet from you. Turn your back towards the chair. 2. Bend your knees and place your left foot on the chair. Just place your hands on your hips. 3. Bend down further until your right thigh gets parallel to the ground or little lower. 4. Do not allow your left knee to touch the ground. 5. Push yourself up to the initial position by applying force on your right foot. You can repeat the process for about 18 – 20 times. Switch the leg and repeat the same process again. 1. Stand straight with your feet about your hip width apart. Place your hands in front of your chest. 2. Pick your right leg above from the ground. 3. Bend your left knee and get down into the squat position until your left thigh get parallel to the ground. Remember that your right foot should not touch the ground. 4. Put pressure on your leg and push your body to the original position. 5. Repeat the process with the same leg for about 15 – 18 times. Then switch the legs and repeat and you can do 3 – 4 sets at a time. 1. Lie down in the floor with straight back and palms on the ground. 2. Bring your heels towards your hips to the point your legs get perpendicular to the ground. 3. While keeping your shoulders on the ground, pick rest of the body up until it gets in a straight line from knees to shoulders. 4. Slowly slide your feet in the forward direction until you get into the starting position. 5. Repeat this about 12 – 15 times. 1. Stand straight holding a pair of dumbbells in both hands in front of your legs. 2. Place both feet at shoulder width distance from each other. 3. Bend down forward until your torso gets parallel to the ground. Just bend your knees a little, keep your back straight. 4. Hold the position for 2 – 3 seconds and then stand back by forcing your leg muscles. 5. Repeat for 12 – 15 times. 1. Stand straight and hold a dumbbell in both hands from both ends in front of your chest under the chin by bending both elbows. 2. Bend forward by pushing your hips backward while keeping your legs straight until your back gets parallel to the ground. 3. Hold the position for 2 – 3 seconds and return back by applying force on the hip muscles. 4. Repeat the process about 20 times and 2 – 4 sets are recommended at time. This muscle not only makes your hips and hamstring muscles strong but it also works on your abdominal muscles. 1. Stand on your toes on the tip of a stepper or stair on the house with heels in the air. Place your hands on hip or place on the corresponding wall just balance your body. 2. Apply force on your legs and push your body up on the toes. Hold on the position for a second and then get back until feet gets parallel to the ground. 3. Then let the heels go little down the level of the toes. Hold for a second and apply force to push your body up. Repeat the process for about 20 – 25 times. This will make your calves strenghty. You can do 3 – 5 sets at a time.